In Delhi, gold of 99.9 per cent and 99.5 per cent purity climbed Rs 90 each to Rs 33,300 and Rs 33,150 per 10 grams, respectively. Sovereign gold, however, remained flat at Rs 25,500 per piece of 8 grams. 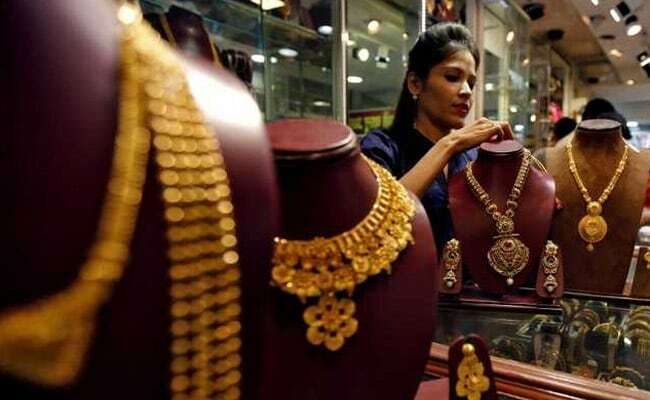 Gold prices edged up by Rs 90 to Rs 33,300 per 10 grams at the bullion market Friday on fresh buying by local jewellers to meet wedding season demand amid positive global cues, reported news agency Press Trust of India (PTI). Silver prices also recovered by Rs 100 to Rs 40,050 per kg on increased offtake by industrial units and coin makers. Gold prices rose due to increased buying by jewellers to meet the ongoing wedding season demand at the domestic spot market, said the report citing marketmen. Moreover, a firm trend overseas supported the rise in yellow metal prices. Bullion market will be closed on Saturday on account of Republic Day. 1. In Delhi, gold of 99.9 per cent and 99.5 per cent purity climbed Rs 90 each to Rs 33,300 and Rs 33,150 per 10 grams, respectively. It had held steady on Thursday. 2. Sovereign gold, however, remained flat at Rs 25,500 per piece of 8 grams. 3. Gloablly, gold edged up on Friday as the dollar eased from a multi-week peak, with bullion seen consolidating in a narrow range supported by concerns about global growth and political uncertainties, including the US government shutdown, reported news agency Reuters. 4. Spot gold rose 0.2 per cent to $1,283.69 per ounce, in intraday trade, holding in a tight range of about $6, and on course for a small weekly gain. US gold futures climbed 0.3 percent to $1,283 per ounce. 5 . Tracking gold, silver ready rose by Rs 100 to Rs 40,050 per kg and weekly-based delivery by Rs 42 to Rs 39,036 per kg. On the other side, silver coins continued to be traded at previous level of Rs 77,000 for buying and Rs 78,000 for selling of 100 pieces.